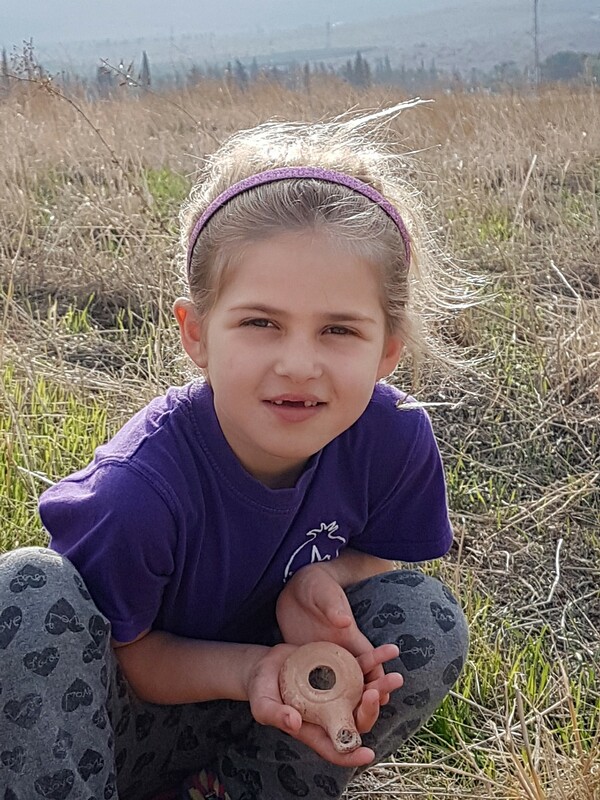 Last week, while out for a stroll near their home in the historic Beit She’an Valley, a mother and her seven-year-old daughter discovered a rare, intact 2,200-year-old clay lamp. 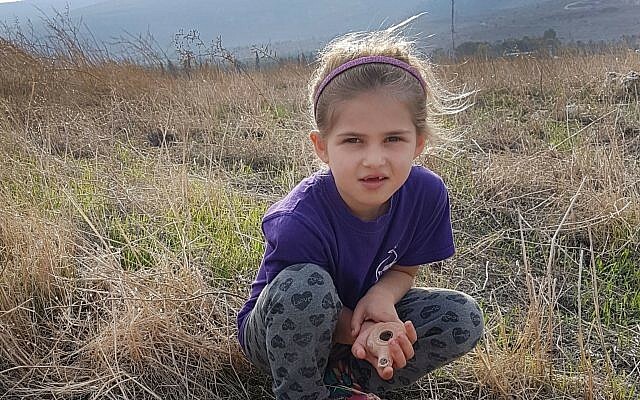 While Ayelet Goldberg-Keidar and her daughter Hadas, residents of Kibbutz Beit Alfa, were on an afternoon hike climbing the mounds near Kibbutz Nir David, Hadas suddenly noticed a pottery vessel lying at the mouth of a cave. Excitedly, Hadas picked up the vessel and her mother — coincidentally an archaeology student at Haifa University — quickly realized that this was no ordinary lamp. 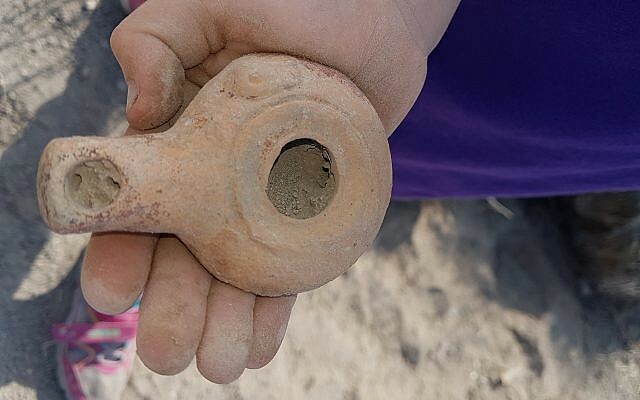 She explained to her daughter that it appeared to be an oil lamp used by ancient people and that they would need to hand it over to researchers at the Israel Antiquity Authorities for study. 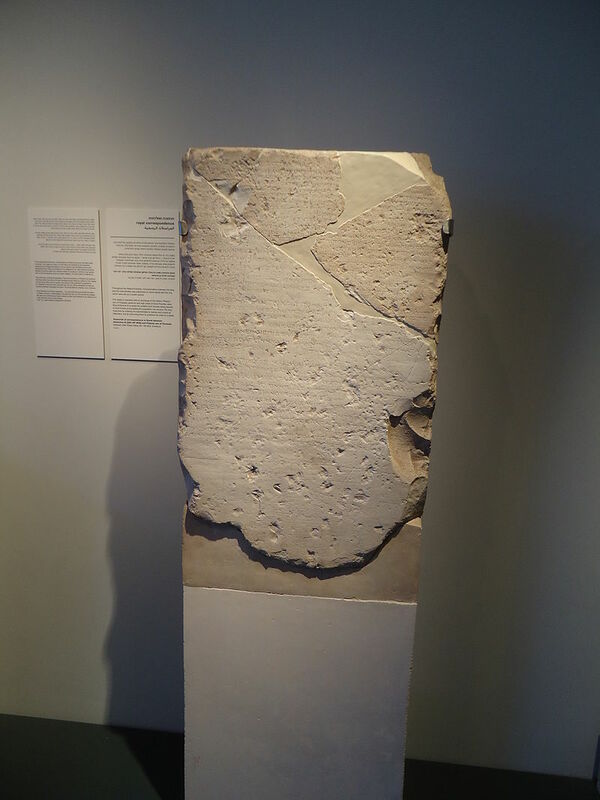 “Guessing that this was connected to antiquity theft, I hurried to get in touch with the theft prevention unit at the IAA,” said mother Ayelet. However, archaeologist Nir Distelfeld, the IAA’s theft prevention inspector for northern Israel, pointed to a more prickly culprit: porcupines. 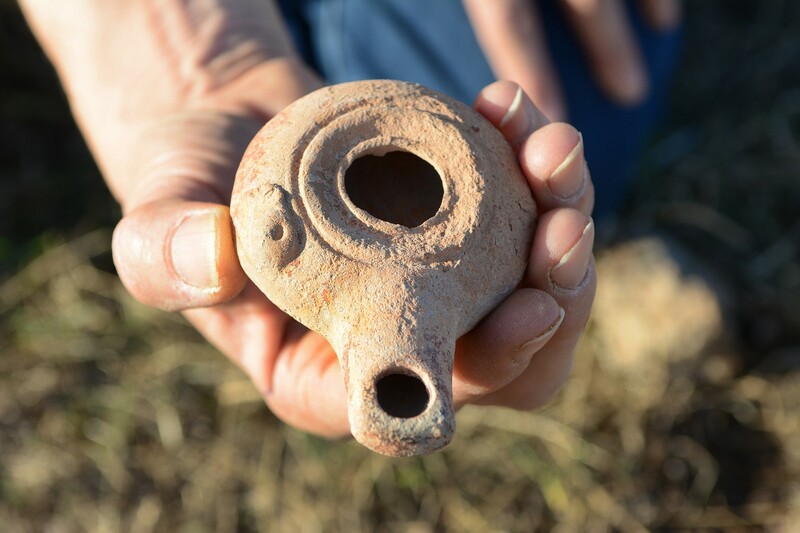 Upon receiving the archaeological find from the family, Dr. Einat Ambar-Armon, an expert in clay lamps, dated it to the Hasmonean period. “The lamp is typical of the Hellenistic period, which began in the 2nd century BCE, the historical period that is known to all of us as the Maccabean Wars against the Greeks,” said Ambar-Armon, the IAA’s regional head of education and community outreach. During this period, said Ambar-Armon, such lamps were produced from molds: the top and bottom pieces were constructed separately and then connected in a new technique that allowed for their mass production, which she attributes to western-influenced innovation. “This process not only required different skills, but mold production lent itself to a new division of labor. Different people could do different, repetitive tasks. As a result, large establishments emerged that produced enormous quantities of identical lamps that they marketed over large areas,” wrote Levy. The new production style also saw the addition of a variety of decorations, including, in later periods, Jewish symbols such as the menorah, said Ambar-Armon. 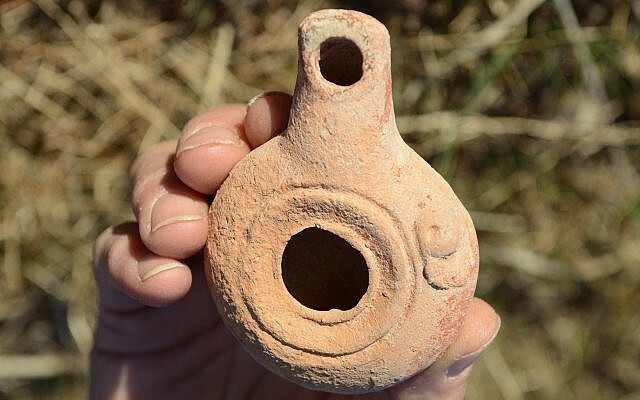 The educator added that the newly found Hasmonean-period lamp testifies to such mass production in the area. Its discovery there connects with a 1960 find of an important Hellenistic-period inscription at nearby Kibbutz Heftziba, also in the Beit She’an Valley. 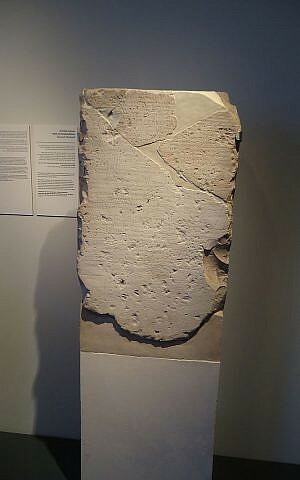 “This inscription, written in Greek, is actually a copy of the state correspondence between Antiochus III, who was the first ruler of the Seleucid family, and the regional Seleucid governor. Antiochus III, mentioned in the inscription, tended to be merciful toward the Jews, in contrast to his son Antiochus Epiphanes, also known as ‘Antiochus the Evil,'” she said. “In the days of Antiochus Epiphanes, the decrees and persecutions against the Jews were unprecedented, and in the end they led to the Maccabean rebellion against the Greeks in 167 BCE,” explained Ambar-Armon. The holiday of Hanukkah was instituted in commemoration of the success of the revolt and the purification of the Temple in Jerusalem, which allowed for the renewal of religious worship there. 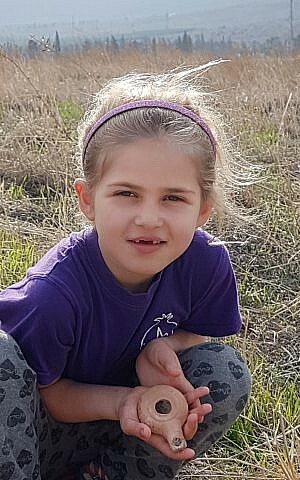 For handing over their find, in what could be considered an early Hanukkah present, the IAA announced it will present the Goldberg-Keidar family with a certificate of appreciation for its good citizenship — and for solving the case of the prickly purloiner.